Was just wondering about how to find your blog. Cannot find the link in any easy to see place for months. Ever since the new format I suppose. Guilty of leaving the cart in the parking stall in front of the car. But will push the cart from across the lane if it is right there. By push I mean fly the buggah aiming to get it in the slot. When I return my cart I would line it up with the other loose wagons and push um in together so no stay all hemajang. Bumbye da buggah roll backwards 😆 But yeah sometime I can get OCD. 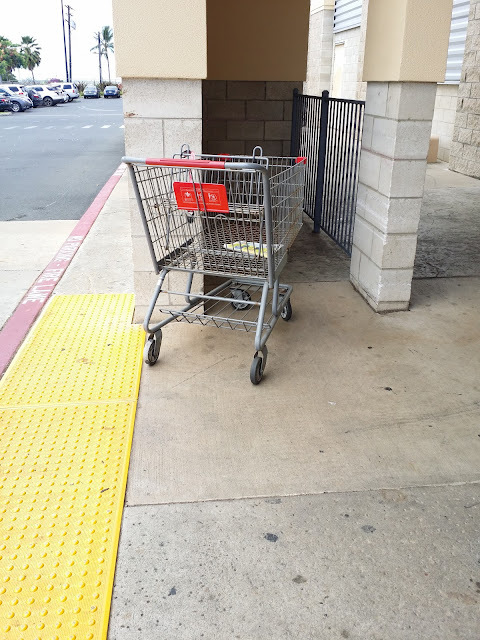 I always make sure to return my cart properly otherwise I would feel bad getting pissed off when I get a cart ding or have to move a cart to get into one of the few (Costcos) spaces available. Whenever I'm tempted to leave my cart, I remember my pastor saying that it's the little things like putting the cart back that matter. 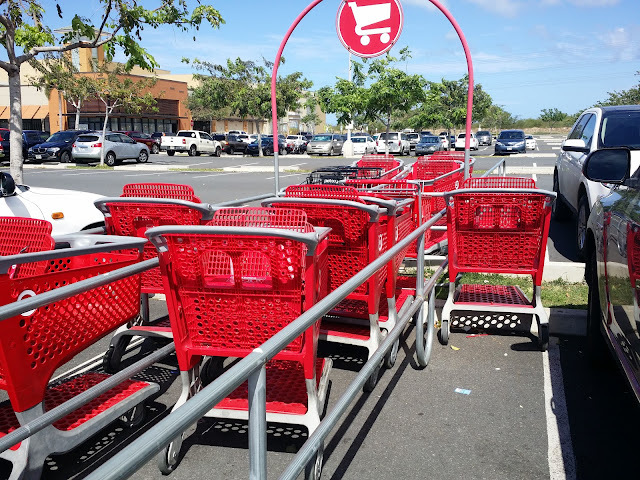 He said that the store provides the carts and a place to return them as a shopping convenience for the customers. The least we can do is return them where they belong so they don't damage someone's vehicle or cause a safety hazard. But will push the cart from across the lane if it is right there. By push I mean fly the buggah aiming to get it in the slot. LOL Ha ha ha! I do dat too.... but only if da wheels are "straight". Me too! I no like da thought dat I might have left a "loose" cart. It reminds me of drivers that park outside/inside the marked line, either the left or right often askew with left front fender beyond the left line and right rear fender beyond the right line. Then the poor guy who parked his "Porsche" straddling the line, using 2 spaces and had the right door dented deeply by a disgruntled driver. Actually this happened before our very eyes. This elder guy in a beat up rattle-trap circled the lot several times squeezed his car next to Porsche and then proceeded to open his door and turned his hip around to lift his feet to the door and then push with force, calmly straighten up in his seat and backed up. Before we could gather our senses, he drove off thereby preventing us from getting his car's license plate numbers.